Interactive theorem provers can model complex systems, but require much effort to prove theorems. Resolution theorem provers are automatic and powerful, but they are designed to be used for very different applications. 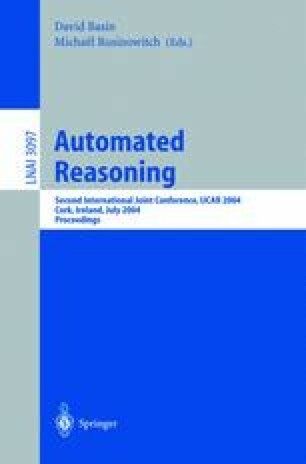 This paper reports a series of experiments designed to determine whether resolution can support interactive proof as it is currently done. In particular, we present a sound and practical encoding in first-order logic of Isabelle’s type classes.